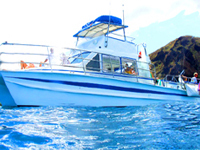 Experience our amazing Snorkeling Adventure to the Molokini Crater and Turtle Town aboard this comfortable power catamaran. The ultra quiet design allows for an incredible experience as you sit back and relax on your scenic cruise to the Molokini Crater. 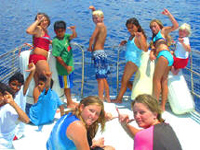 With a maximum of 30 passengers per trip, this is an exclusive tour where you will avoid the crowds typically associated with Cruise Ship snorkel tours. Your morning will begin with a delicious continental breakfast on your relaxing cruise to Molokini Crater, which is located 2 1/2 miles off Maui's south coast. 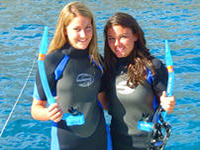 This breath-taking snorkel site is considered to be one of the Top 10 Dive Sites in the World. You will be amazed as you swim and snorkel in the calm, clear protected waters inside the crescent shaped Marine Life Conservation with over 250 species of exotic fish. In winter season, watch for humpback whales breaching and dolphin sightings are a very common year round. Next, you will enjoy a fabulous deli-style lunch which includes Beer and Mai-Tais at no extra charge. Your second snorkel stop is Turtle Town, a sanctuary for the Hawaiian Green Sea Turtle. 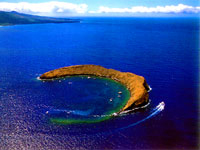 Turtle Town is a unique series of underwater lava formations created by the eruptions of volcanoes. 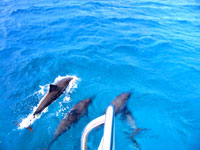 Here you will see a wide variety of colorful tropical fish and other unique marine animals.